The Beverage Den has a full spectrum of dry herb and concentrate units for medical and recreational use. 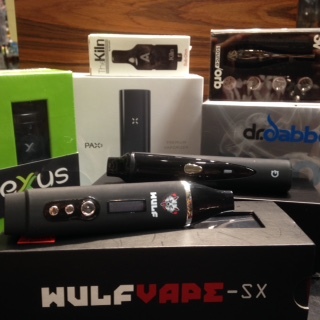 These include portable devices such as Pax, Wulf, Grenco, and Airvape, along with desktop units. We also stock wax and concentrate kits, including Dr. Dabber, Grenco and Source Orb, with a full line of accessory tanks for your pen battery or box mod. Check out our full line of Cannibidiol products for pain and anxiety relief.